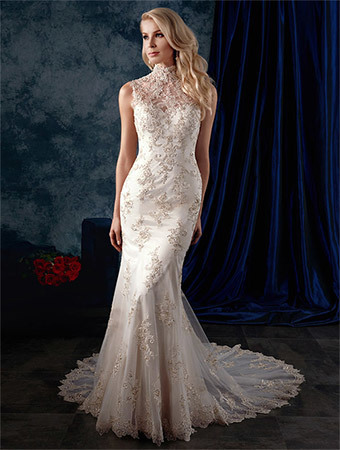 Sophisticated Wedding Dress with Lace High Neck Yoke. 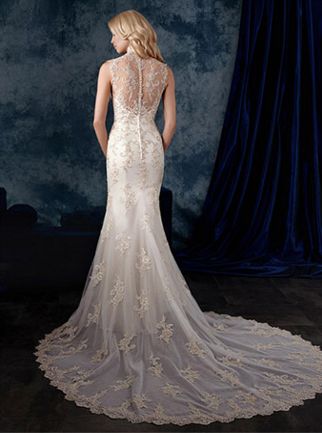 The dramatic high neck yoke on this glamorous wedding gown is balanced by the equally resplendent low sheer back yoke. Metallic embroidered lace decorates the fit and flare frame and train.